Always on the lookout for knitted and unique, we discovered this GIANT adorable knit cat. Her official name is Splash the Cat, but we call her Gatita (little kitten). Gatita is three feet tall and 100% lovable. She is so fun to hug and curl up with for a nap. And how can one resist the cute ballet outfit? 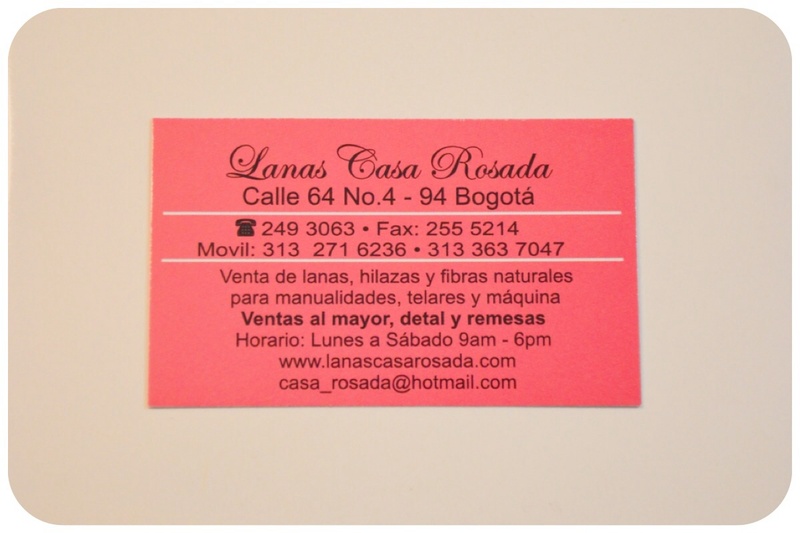 Gatita came to us from blabla which is owned by two women entrepreneurs. Blabla has a flagship store in Atlanta but I found Gatita online. Gatita comes in several sizes – a 12-inch mini, 18-inch regular, and giant 3-foot version. Her friends include Harmony (a mermaid), Pierre (a floppy eared rabbit), and Socks (the fox), among others. 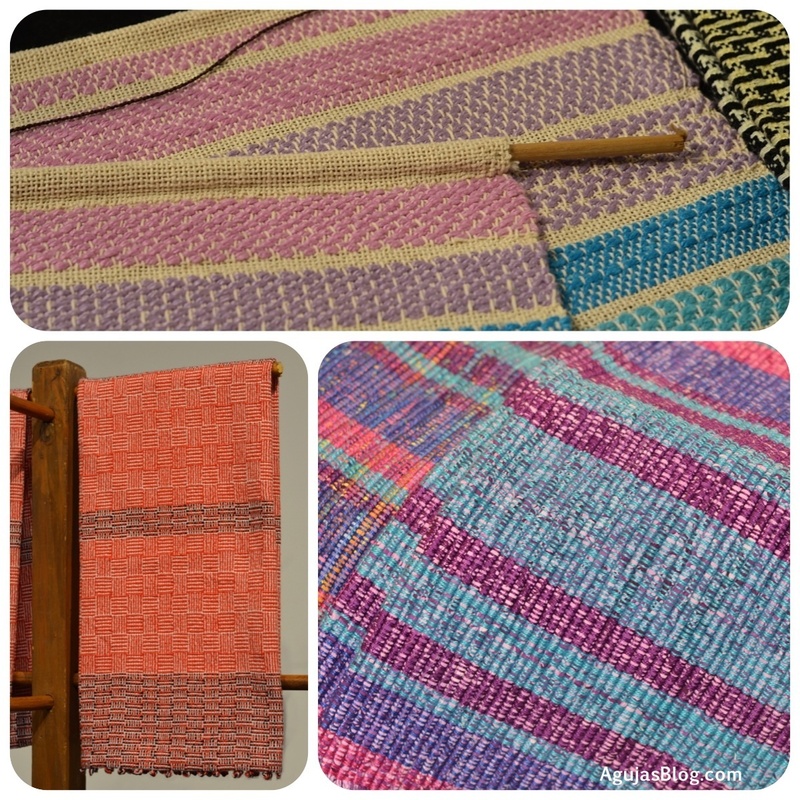 Blabla also carries knit blankets, knit finger puppets, knit rattles and pretty cotton sheets. The dolls are knitted and handmade by women in Peru in 100% of the softest cotton. This is Giant Wooly, the sweetest sheep. While researching for this post, I discovered another small business with a similar product. Cuddle + Kind also sells fair trade dolls handcrafted in Peru. This small business run by a family in Ontario pitched their concept on Indiegogo and raised over $445,000 USD to launch their venture. Part of Cuddle + Kind’s value proposition is that they donate 10 meals per doll sold to feed children in need. I’ve always wanted to climb to Machu Picchu. 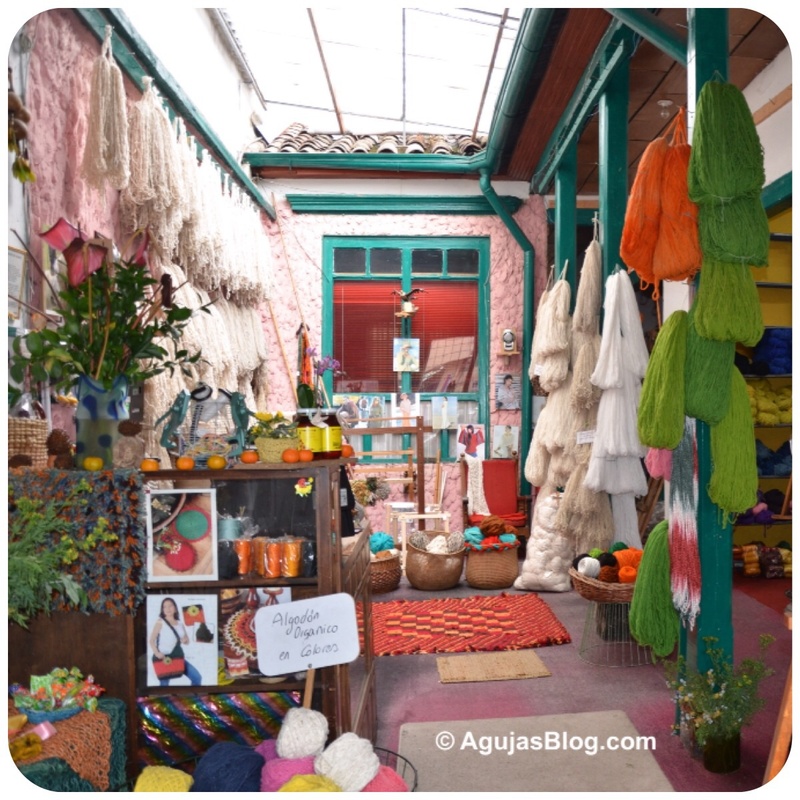 Perhaps a knitting discovery trip to Peru is in my future? 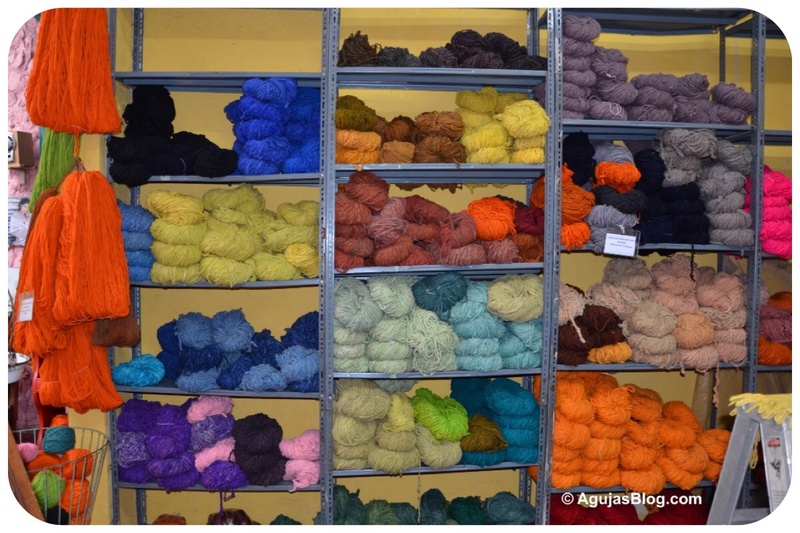 You didn’t think I would pass up an opportunity to visit a yarn store, did you? 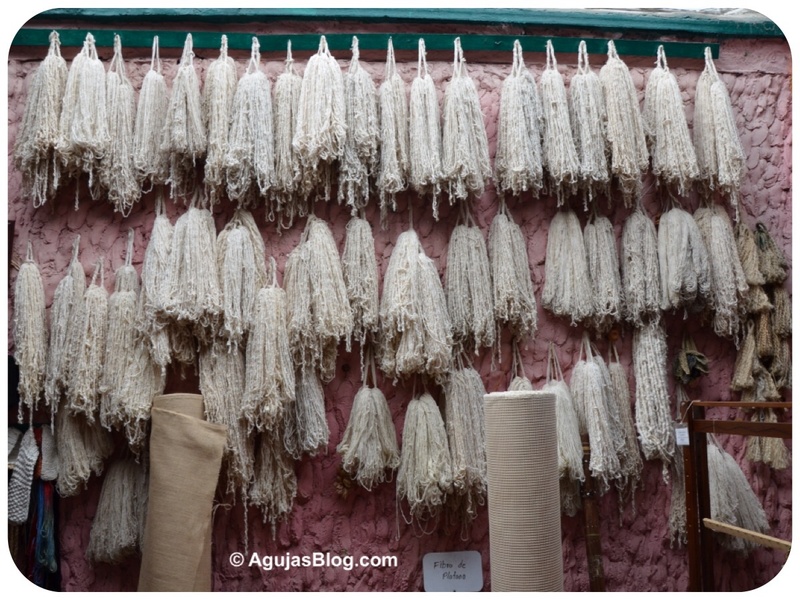 Besides the beauty of gold, emeralds, textiles, art and salt mines, there was yarn. 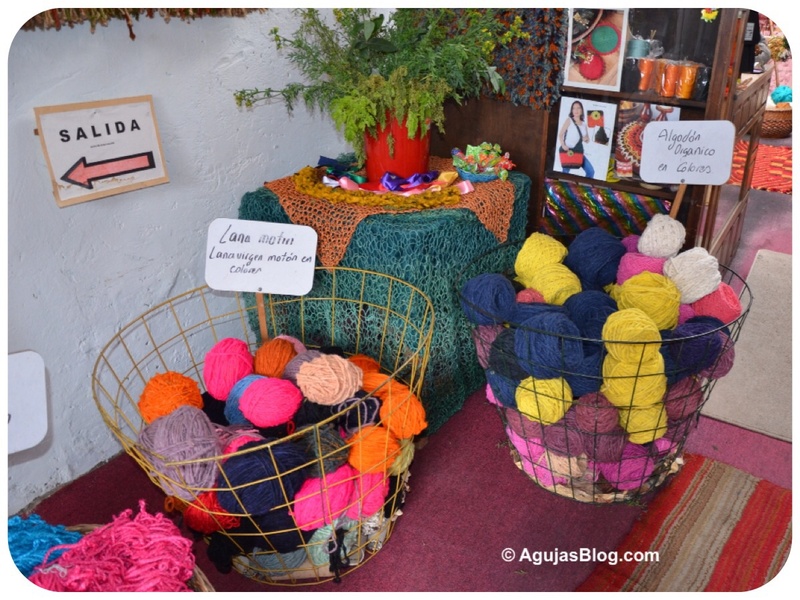 When I entered La Casa Rosada (The Pink House) I thought I was in the yarn candy store of my dreams. The proprietress opened the shop for me and let me ogle and touch to my heart’s content. I had the place all to myself. I found out about this jewel from an online search and from Classy Crochet’s blog. The shop is located in what looks like a residential street. It’s easy to spot, just look for the bright pink facade. 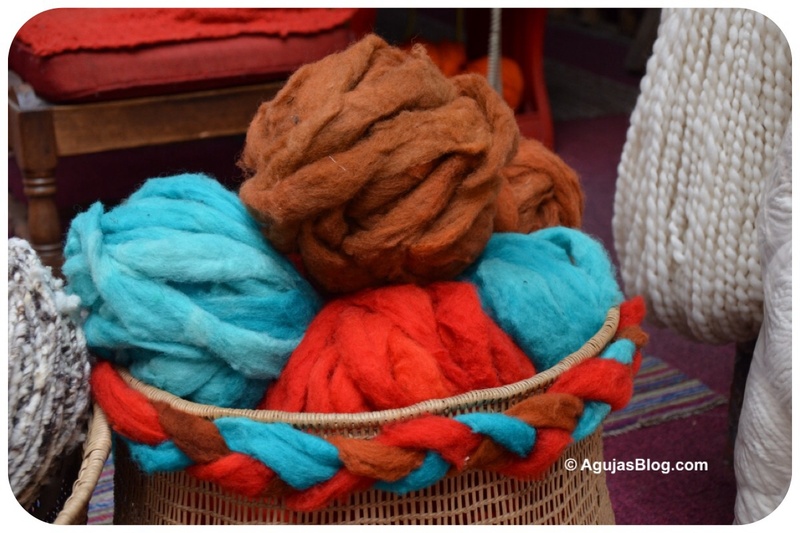 La Casa Rosada sells yarns made from natural fibers including cumare (a native palm tree), yute (jute, a vegetable fiber), cabuya ripiw (a natural fiber from the leaves of the fique plant, similar to hemp), pita (fiber from agave plants), bamboo, and strips of leather. 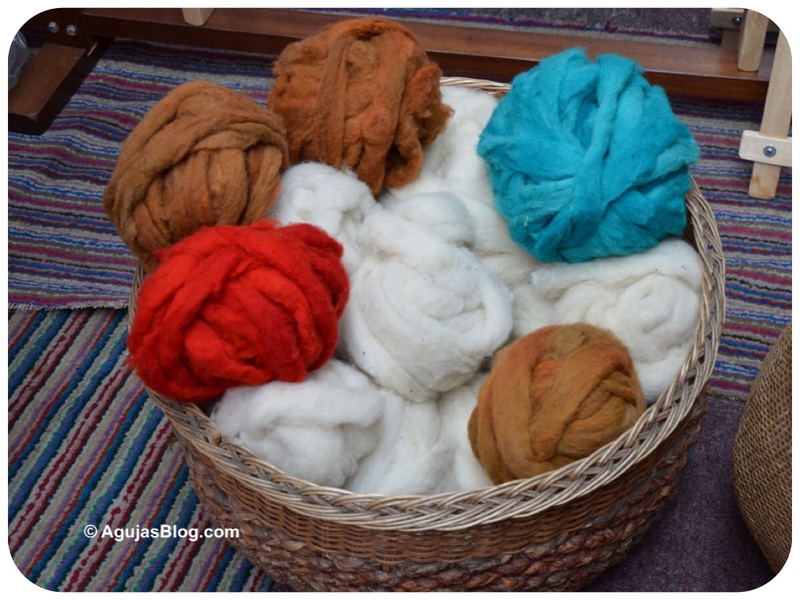 They carry wool and cotton in many weights, both dyed and in natural hues. Those large rolls are woven out of sisal and the barely visible sign below reads “fibra de plátano” on a basket filled with yarn spun out of banana leaf fibers. 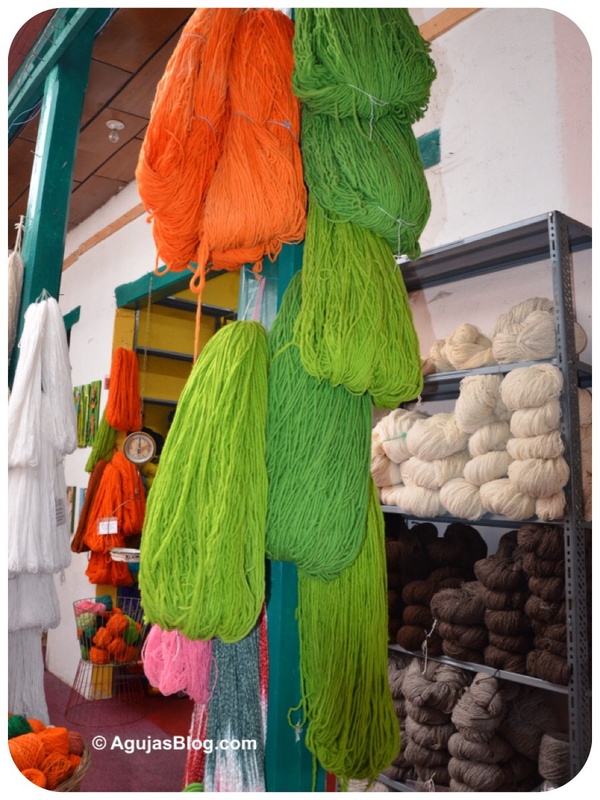 They spin their own yarn at La Casa Rosada, so all you see are natural homespun fibers turned into gigantic skeins of yarn. 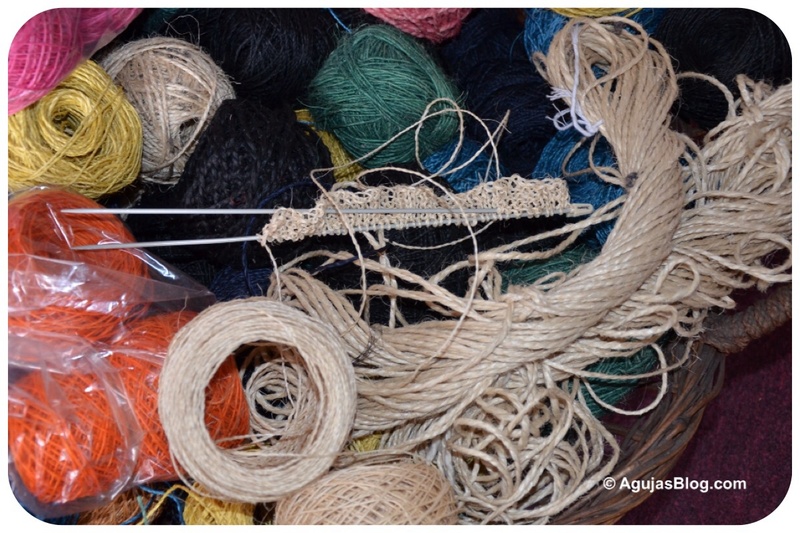 The diameters range from 2, 3, 4, and 8 millimeters up to 3 centimeters for bulkier yarn. 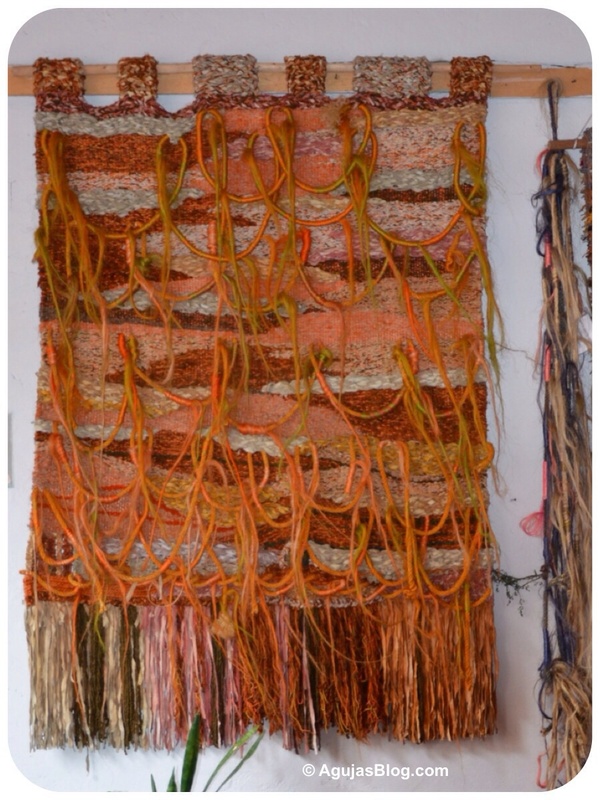 They hand weave tapestries and hammocks. I was tempted to get one, they were so impressive, but somehow didn’t think it would fit in my carry-on. Prices are based on weight. They have a large scale on the floor where they plopped my selections. The rate was roughly $1.500 Colombian pesos per kilogram. The scale read 1.20 kilograms for a total of $175.000 pesos (about $89 USD). 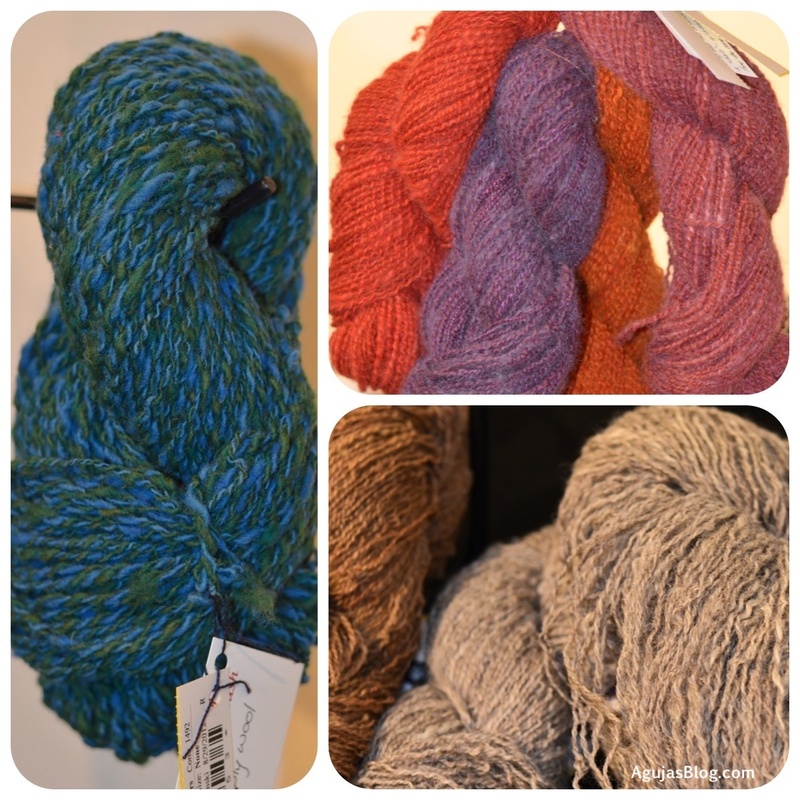 Given the massive quantities of beautiful, natural, hand spun yarn, I thought it was a fair price. I would go to La Casa Rosada again in a heartbeat. Next time, I’m bringing an empty suitcase. While walking along the endless mazes of the Christmas Markets, we stopped at one booth and watched as a craftsman made beautiful hand blown glass ornaments. 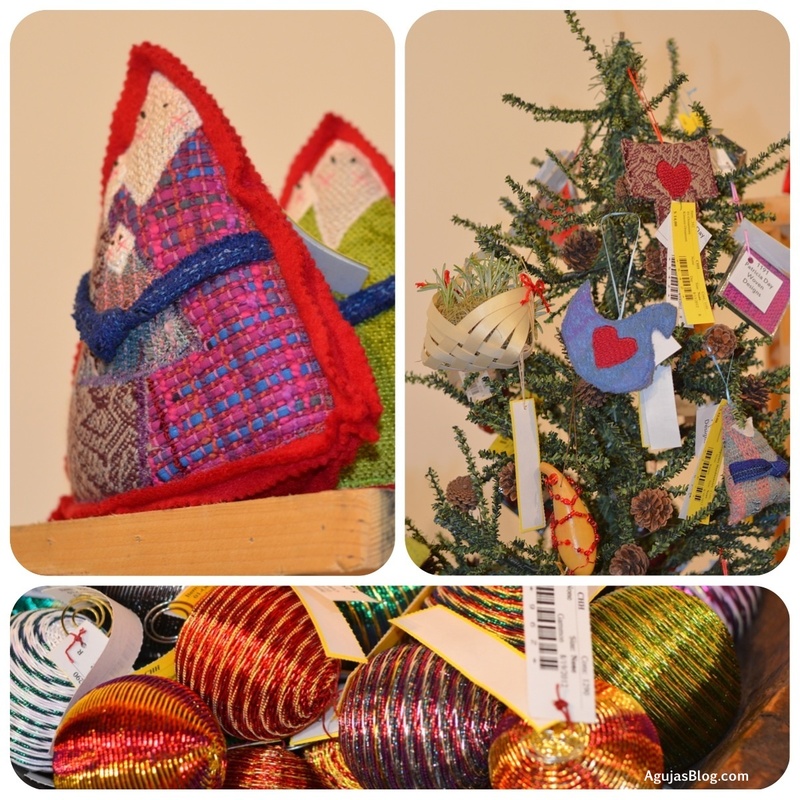 These sparkling ornaments now adorn our tree. If you want to see how they are made, this post has more information. (Click on any thumbnail for a full-screen view). 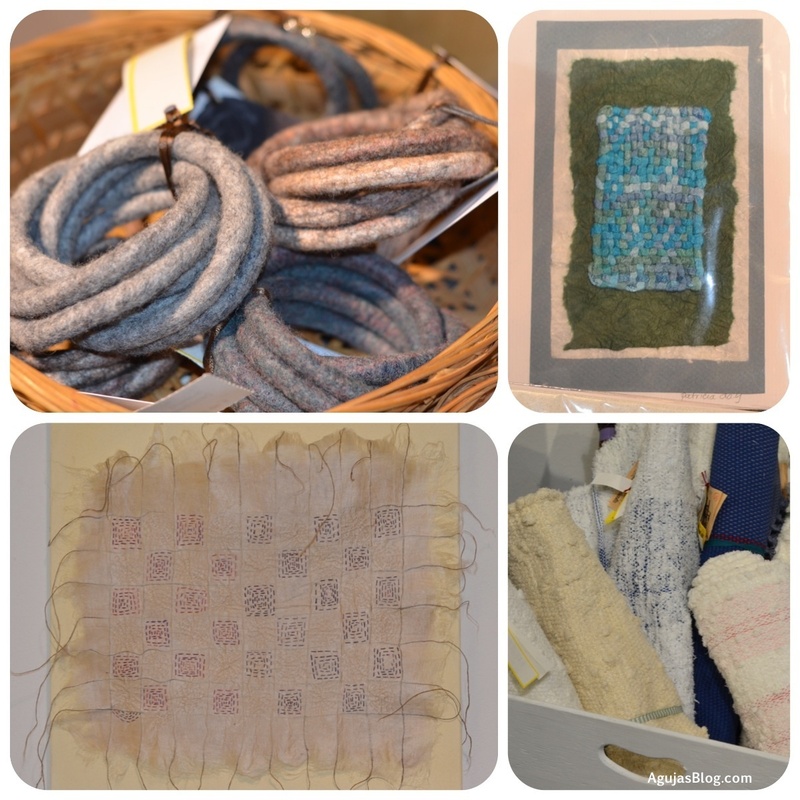 This is my second year attending the annual Artisan’s Market presented by the Contemporary Handweavers of Houston (CHH). The market runs from September 6 – 8 so if you are near Houston, you still have Saturday to stop by. I am so glad that I went on their opening night. I did my usual walk around the rooms to look at all the displays. 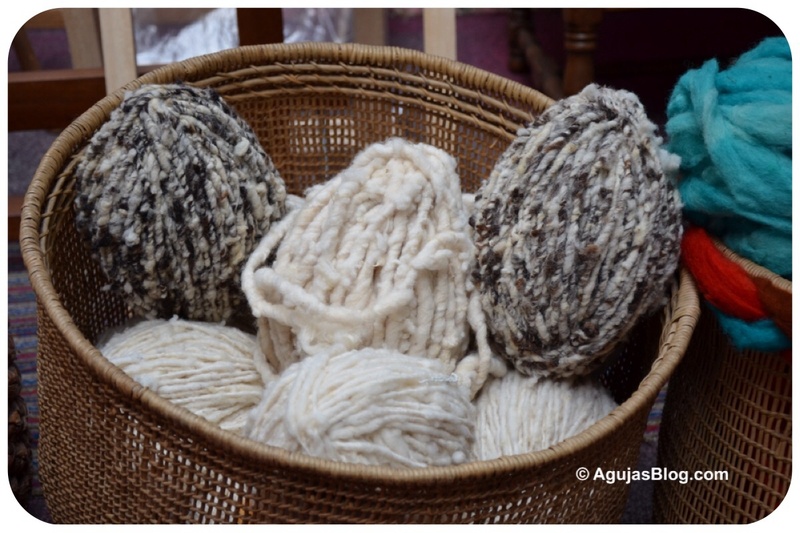 I then picked up a small plastic basket from the front so I could begin collecting the beautiful handwoven textiles, baskets, handmade jewelry, handspun yarn, and felted ornaments that I had singled out. I was too slow. Those ladies are fierce! Several items I had on my mental checklist were gone! Nonetheless, I had a great time looking, touching and taking pictures. 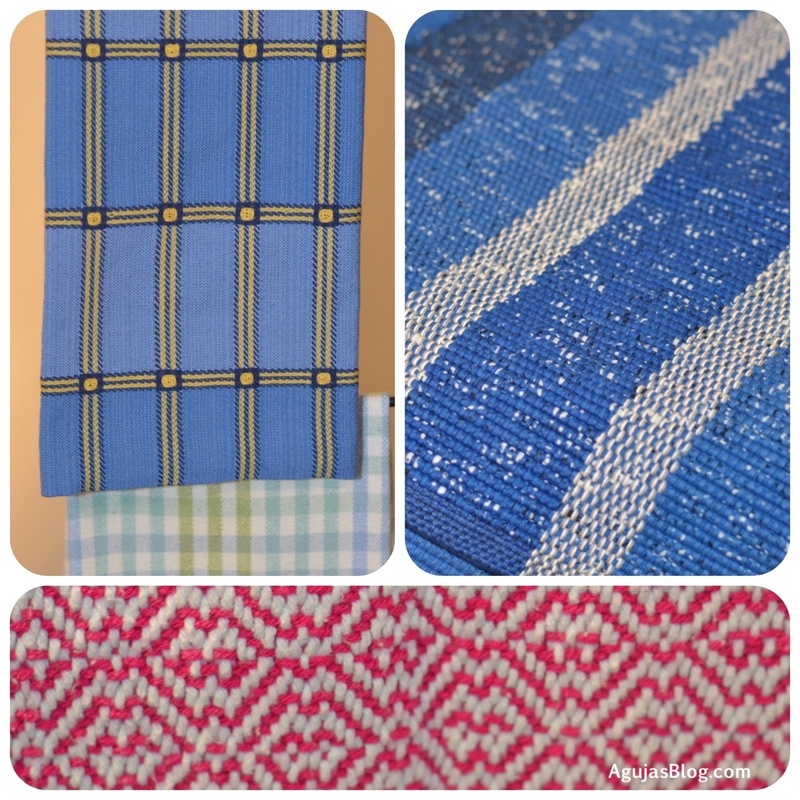 I saw beautiful handwoven textiles. 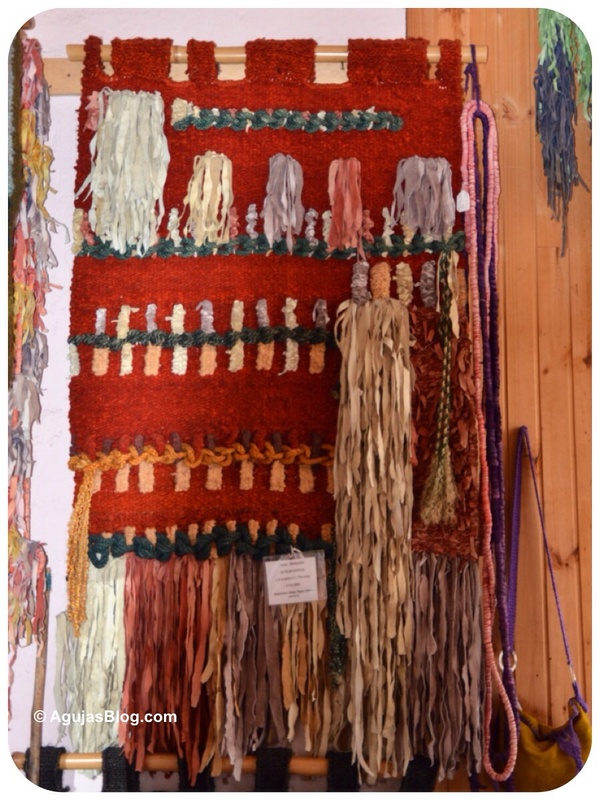 There were felted bracelets, handmade cards, woven rugs and artwork. 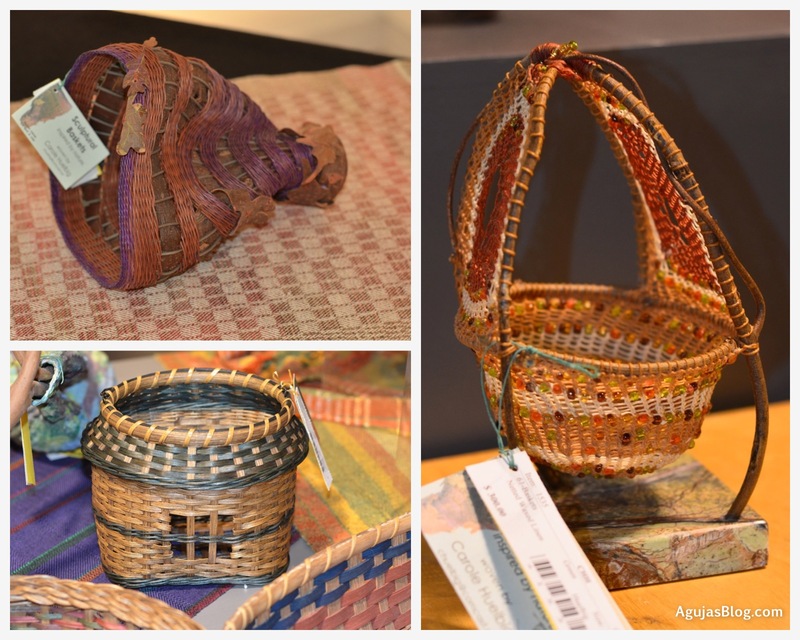 There were felted baskets, silk baskets and other sculptured baskets. 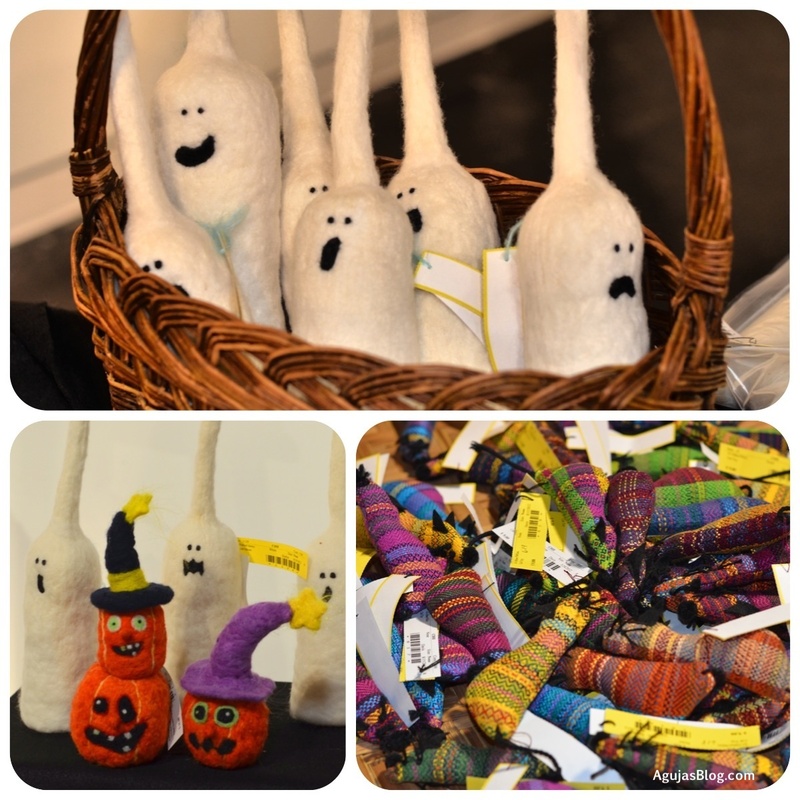 There were ghosts and goblins and catnip wrapped like mice for the upcoming Autumn holidays. Even Saint Nicolas’ helpers offered their wares for the yuletide season. Of course, there was yarn. 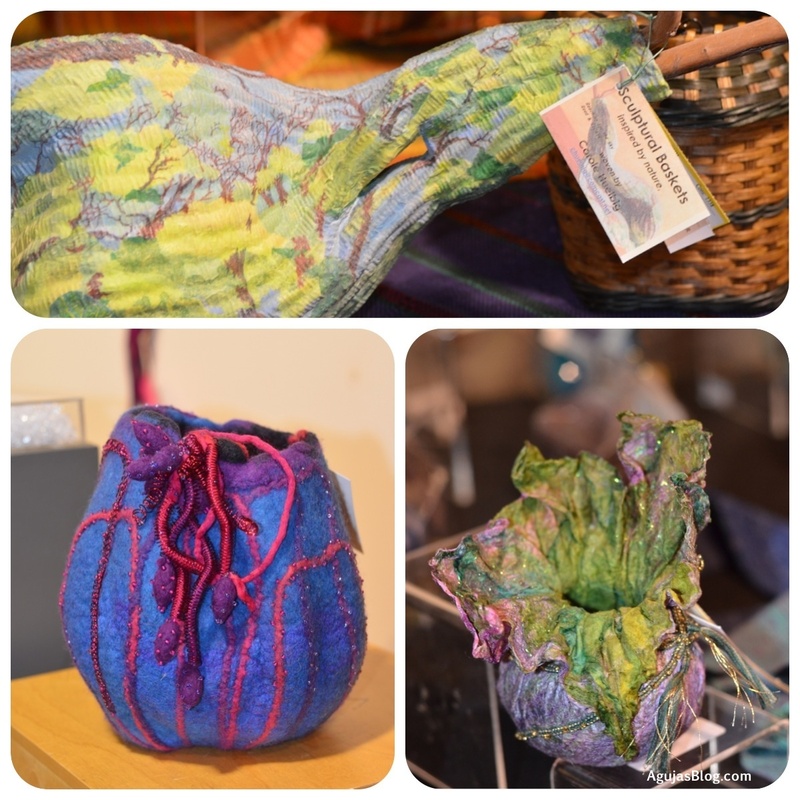 A huge round of applause to all of the fiber artists who produced these beautiful handmade items. By the crowds and the long line at check out, I am pleased to say that Houstonians truly appreciate the handcrafted arts. If you want to see more lovely items like these, this is the post I wrote about last year’s event.